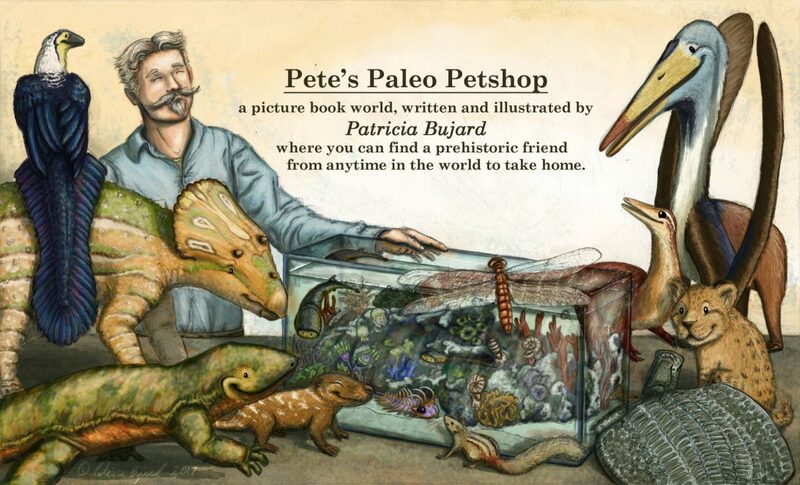 Pete’s Paleo Petshop is a children’s picture book series, set in a world where you can visit the shop to meet your very own prehistoric friend. At the moment time has stopped in the Jurassic period, the “golden age” of the dinosaurs, but this is only the beginning. Over time I’ll be expanding the series so you can meet all sorts of amazing animals- anything from giant T-rex and woolly mammoth, to tiny and beautiful creatures from the dawn of time. I will be creating pages for my website. What is the best solution for this? I’m sorry, I’m not sure what your question is. Would you please clarify? Here it is: What is the best way to add/create pages for a website? To create a new page, you should be able to see a black bar at the top of the page when you’re logged into your account. In the far left is a choice between “my sites” and “reader”. Thanks. Next, I need to create a home page. I am going to title it “Introduction” and it will be the main page. What should I put on that page? You want your home page to be the sort of place readers can find you and know exactly what your website is about. Think about a sentence that describes your website to your guest in about 10 seconds. That’s typically how long people linger on a page before they decide to leave or stick around a bit longer. So think about what makes your website unique, and how to clearly and quickly explain why your reader may want to stay. 🙂 Images and “headline” text are simple ways to convey information quickly. Now, I want to do a review page. How many picutures are needed for one review? Well, at least Dinotoyblog exists. A late reply, so forgive me. Check out my website, paleoteenblogspot.wordpress.com. I will be constantly be updating it over time. 1. You to appear in the book series as the co-founder of the shop. 2. A schedule for introducing new critters: 2 new critters every two weeks. 4. Start a figure line of scientifically accurate figures, also try to go for obscure critters in toy lines. 5. Create fact files for each figure. 6. Give us hints for what the latest additions (creatures) to the shop. 7. Update your topic on the DinoToyBlog forum (if you can). 8. Take online suggestions for each critter you will introduce. Will you take consideration with these options? 2. A schedule for introducing new critters is a good idea. I’ll have to think on that one. But it’ll have to be something like every 3 or 4 months instead of every 2 weeks. 3. I currently have 2 book series in progress! One is the picture book series that will feature each of Earth’s prehistoric time periods (plus our own possibly featuring critters like the quagga and dodo). The 2nd is a series of short story collections featuring the critters’ adventures at the shop. 🙂 I have lots of other ideas too, but you can only have so many pans in the fire! Well, it will be great. Also, do you mean 2 critter every three months? Because I am slightly confused. Also, try to edit the fact files and give the right species name to each animal. Also, how about 220 creatures from the Jurassic. Remember to add Jobaria, Mongolarachne, Vieraella, Sordes, and Ophthalmosaurus. 1 critter every 3 months, maybe, I need to think about that one and see what is realistic for me to do. As for species, I only have the genus for each animal given because technically each critter is a domesticated mix of the traits of different species. So unless one of the critters is based on a specific species it is only given its genus name. I noticed you updated your topic on the Dinotoyblog forum. How many animals are in your planning list? And that’s the priority list! Not to mention the number of Jurassic critters known, though I think I’ll steer clear of the ones with only fragmentary remains. There’s not enough information to go by aside from a generic relation to a particular genus. Well, tell me the 20 on the planning list. I got this in mind- Lexovisaurus (name her Alexis). Here’s the priority list of 20! The first 9 have already appeared in sketchy form on my Instagram, but not in order. Do you have names for all of them? This excludes Pearl the Othnielosaurus, Kali the Kentrosaurus, Monica the Monolophosaurus, Tanner the Torvosaurus, Murray the Muraenosaurus, Clyde the Cryptoclidus, and Lionel the Liopleurodon. Also, you need more things from the mid Jurassic. To go with Alexis the Lexovisaurus, how about Buck the Megalosaurus? About Picasso chasing that lizard. I’ll bet that was amusing! It sure sounds like it was! Hi! I’ve taken the liberty of editing your name a little, since I strive to make this a kid-friendly site. When I write, I find it’s best to just sit down, set a timer, and write. Easier said than done, I know. But I find that doing special stuff to “clear the mind” or “get in the groove”, is really just procrastination. The easiest way to get rid of the slurry of thoughts, especially the inner critic, is just to write. Don’t edit, don’t think about that typo, just get words on the page until your time is up. Once you have words, then you can change them. Until then, just keep in mind what you’re trying to say and make your fingers move. Hi! I’d be totally fine if you quoted my articles. Just please have a link back to my original article. Thank you, I’m glad you like it, and I really appreciate you sharing it.